If you are facing foreclosure, it can evoke many emotions: fear, anger, frustration, embarrassment. Once you get over the initial shock, you need to start by developing a step by step plan to stop foreclosure. Don’t bury your head in the sand and hope it will go away because it won’t. We also can’t get caught up in blaming. We can’t blame our lender or our Realtor, as this is pointless and unhealthy. The most important thing you can do if you need to stop your foreclosure is to have a plan. And the earlier you start your plan, the better. To create that plan, it’s helpful to understand what the process and your options. In California your home can be sold at foreclosure sale in as little as 111 days after missing your payment. The first notice you will receive will be a Notice of Default also known as an NOD. This serves as a 90 day warning that you need to resolve your situation. This will typically be mailed to you via regular mail. The Notice of Default is also recorded in public records making it known to everyone that you are in trouble. Within days of your NOD being recorded, you will start receiving letters, postcards and people at your door offering to “solve your foreclosure problem”. Attorneys will be pitching bankruptcy. Real estate agents will be pitching – Sell your house. Investors will want to buy your house cheap. The longer you wait to create and execute your plan, the less good choices you will have. The Notice of Default also serves to let you know that you need to solve the problem before your lender pursues selling your property at auction. Typically this notice will include an accompanying letter from your lender explaining what options they want you to be aware of. Part of your plan should be to contact your lender immediately if you haven’t already. 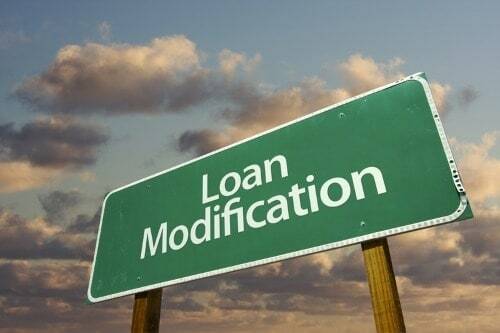 Your lender may offer you a loan modification, allowing you to restructure your loan to allow for smaller payments. Typically this is for a short period of time while you get back on your feet. Under rare circumstances, they may also offer you a Deed in Lieu. A Deed in Lieu is where the lender will take back your house in exchange for forgiving the debt. You may also qualify for debt reduction through Covered California, a federally funded program to help homeowners in foreclosure. The next document you receive is the Notice of Trustee Sale. This document will also be sent to you via regular mail and certified mail. Don’t assume you can just not sign for the certified mail and somehow avoid the notice. This is foolish as there are several ways your lender can still send you your Notice of Trustee Sale if you don’t respond to the certified letter. It will also be posted on the property in a very conspicuous place so the occupants (and the neighbors) can’t miss it. 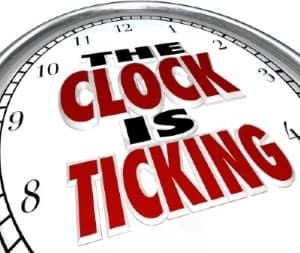 In California, this starts the final 21 day clock before your lender can officially sell your property. This document will also be recorded in public records as well and will include the date, time and location of the scheduled auction. You may have heard of people living in homes for several years while they were in default. This is the exception, not the rule. I’ve seen houses sold at auction within days of reaching the minimum 111 days. We have bought scores of houses at auction and I can tell you there seems to be no rhyme or reason as to when the lender chooses to actually sell your house. You can stop the foreclosure process any time by bringing your payments current all the way up until 5 days before the sale. After that, it’s up to the lender to decide if they want to accept payment or continue with foreclosure. You can however, payoff the entire amount all the way up until the point of the sale. More on that later. Bankruptcy is another possible solution. This probably won’t stop your foreclosure, but will delay it. With bankruptcy, you may be able to work out a reduced payment schedule, essentially a loan modification with your lender. When your attorney files your bankruptcy papers, it will create what is known as an “automatic stay”. Attorneys will tell you that this “stops any collections against you”. While this is totally true, it is not necessarily permanent. Your lender can file a court petition for a “Relief of Stay”. If this is granted by the bankruptcy court, then your lender can continue selling your home. If your house is upside down, meaning there’s no equity, then the bankruptcy court has little motivation to not grant the relief of stay. On the other hand, if you have equity then bankruptcy may be a reasonable solution. Otherwise, you are probably only kicking the problem down the road, further damaging your credit and paying attorney fees. In addition, you probably could have worked out a loan modification directly with your lender without having to pay any attorney fees. If you don’t have any equity, you can also sell you home for less than what you owe – called a short sale. This has become so common these past few years that most people are very familiar with the concept. Most lenders have become much more organized with handling short sales, but it can still be a long drawn out process. Furthermore, if you have multiple loans on your home, you have to negotiate with each of your lenders. Sometimes, you one lender will be agreeable to reducing what they are owed while your other lender is not. If this can’t be resolved, there is nothing to prevent one lender from proceeding with foreclosure if the other lender isn’t cooperating. If you are looking to use a Short Sale to sell your home, be sure you get an experienced short sale specialist. Lots of agents say they do short sales, but really they don’t. Most real estate agents don’t personally negotiate short sales. Instead they have someone in their office that they hire to do the negotiation. Always ask them how many short sales they personally have negotiated. One agent I know has personally negotiated over 300 short sales, but still uses an office assistant. The difference is, an experienced short sale specialist will not simply leave it up to their office assistant to manage your transaction, but will constantly be checking in with their assistant. A few years ago I was involved in attempting to purchase a home that was a short sale. The seller’s agent was an experienced agent but she didn’t manage the short sale negotiation herself. Instead, she turned the transaction over to an assistant to manage. In this particular transaction, there were two lenders, each needing to be negotiated with. We reminded the agent that the auction was coming up and to contact the lender to delay the auction. Unfortunately for the seller, either the assistant or the agent dropped the ball and the home was sold at auction. This is the problem when you have an agent who isn’t personally experienced with short sales. Instead they rely on an assistant to actually do the negotiation for them. If all of the other options have failed, or the proverbial “can” has simply been kicked down the road too many times, a cash buyer may be your only solution. A cash buyer can payoff your loan all of the way up until the point of the sale. The closer you get to the sale, the fewer options you will have and the lower the cash price will probably be. In California, anyone buying a home in foreclosure must include special language in the contract that allows the seller five days to change their mind. In addition, the buyer cannot give the seller any money until that five days is past. This is to protect the seller from unscrupulous buyers. However, this five day window does not apply within the last five days prior to the scheduled sale date. At that point, selling to an investor could be your best option to purchase your property, payoff the lender and stop the foreclosure. Why bother trying to stop my foreclosure? That’s a fair question. Foreclosures have long term consequences both emotionally and financially. Foreclosures will remain on your credit report for up to 7 years. However, even after 7 years, every standard home loan application asks the question “Have you ever had a foreclosure”? You may not be able to afford to stay in your current home today. However, this doesn’t mean you want to impact your future ability to possibly own a home again. Have a plan. Don’t let the threat of a foreclosure hinder your chances of home ownership in the future.